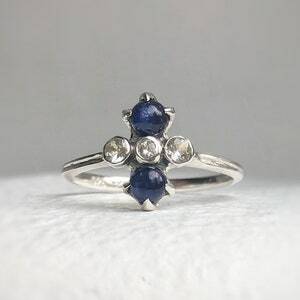 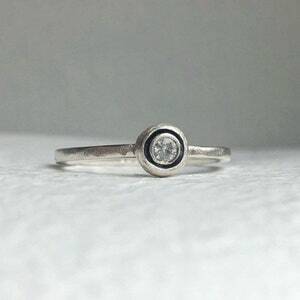 Alternative engagement ring. 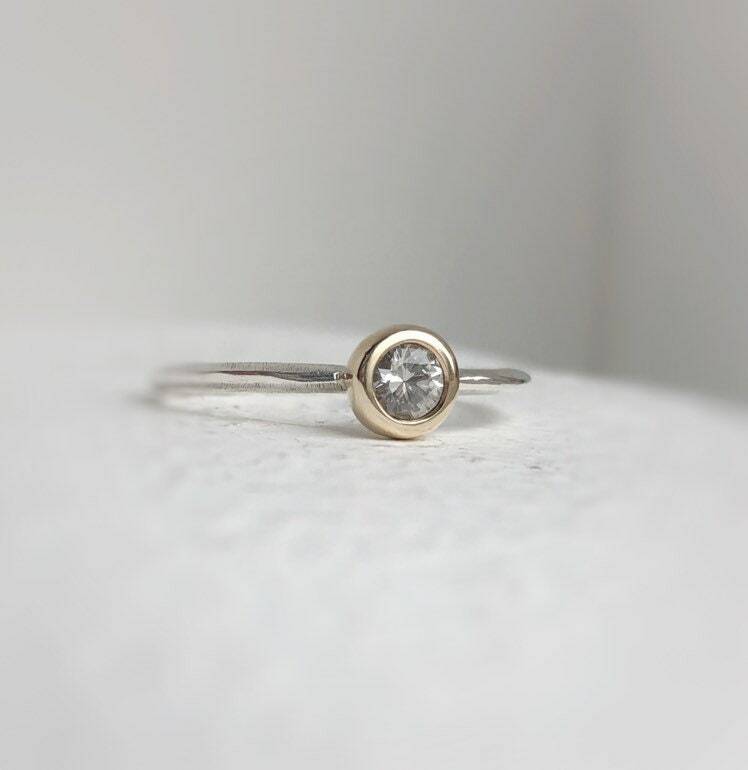 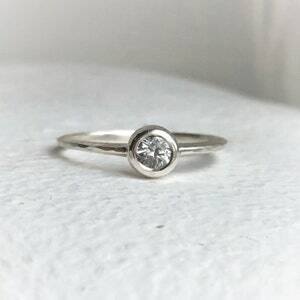 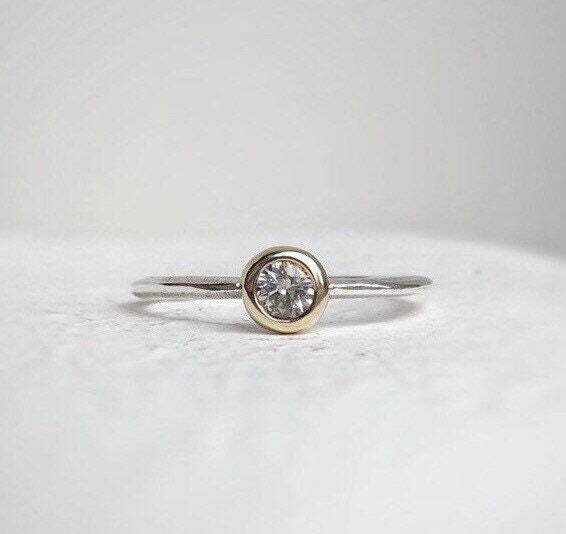 White sapphire engagement ring - Two tone gold and silver - White sapphire solitaire ring - minimal engagement ring, alternative engagement ring. 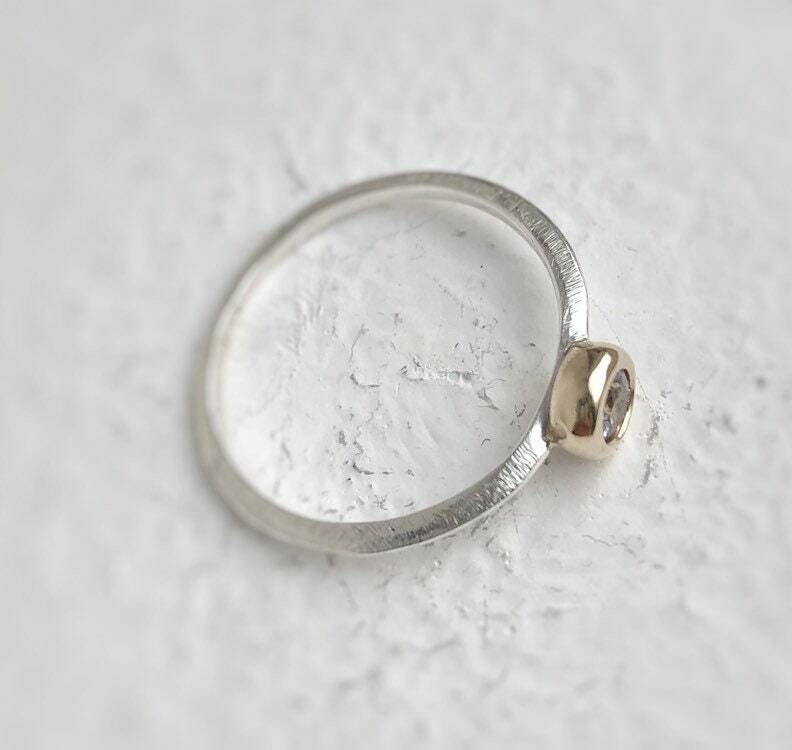 - 2mm tapered band using recycled sterling silver and 10kt recycled gold. 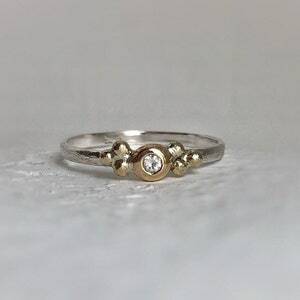 Setting is 10kt gold band is sterling silver. 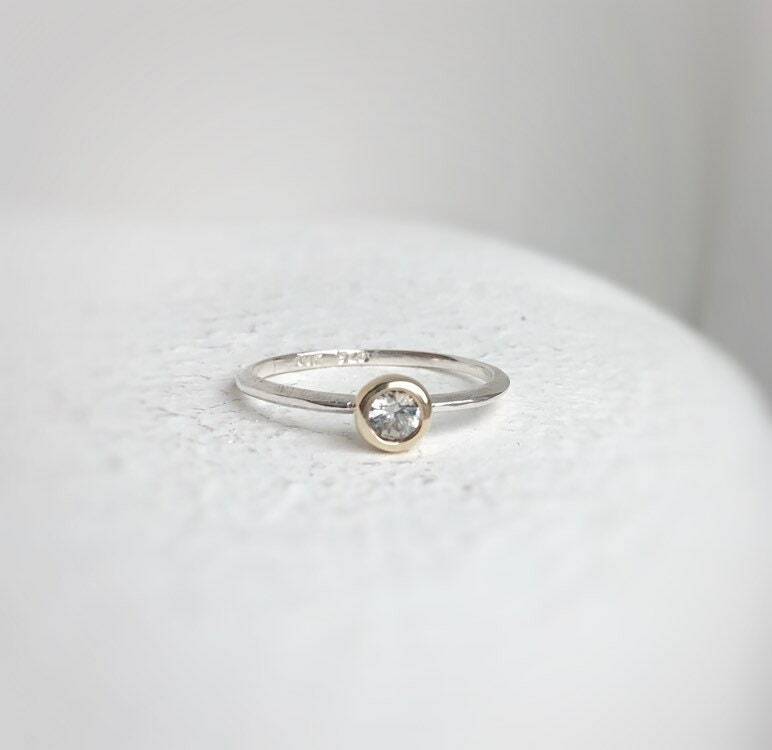 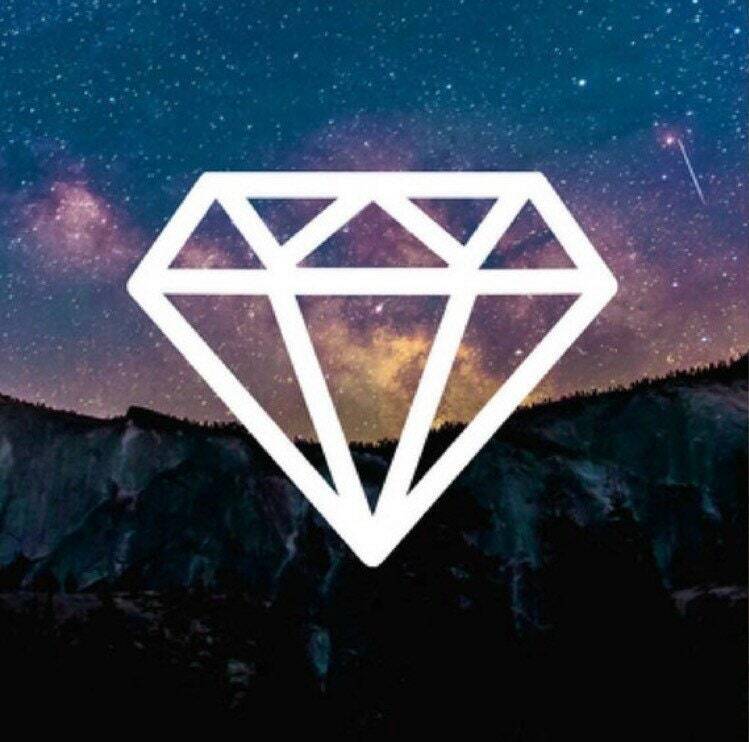 - Images are taken in natural light. 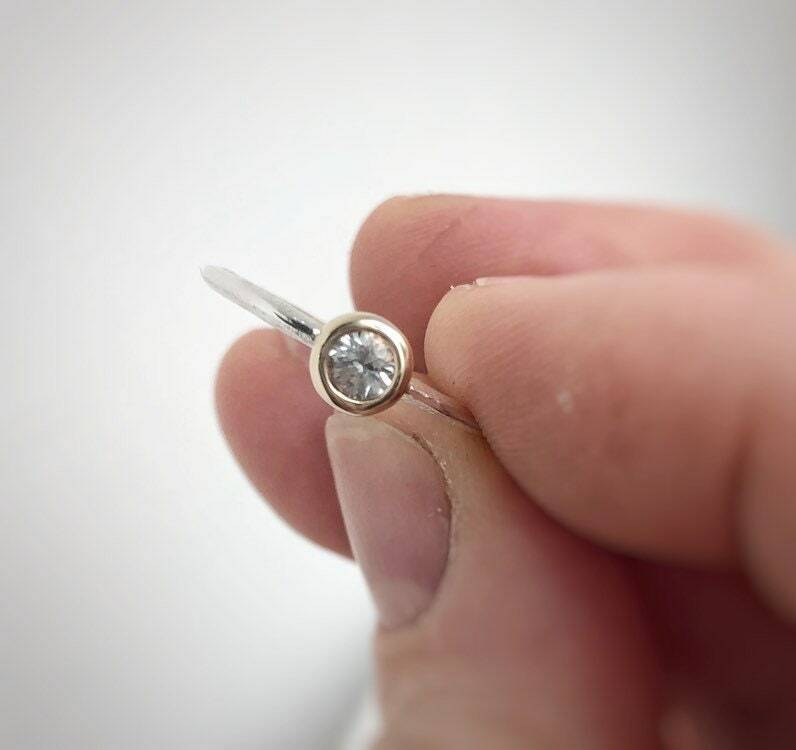 - 3.25mm white sapphire genuine gemstone. 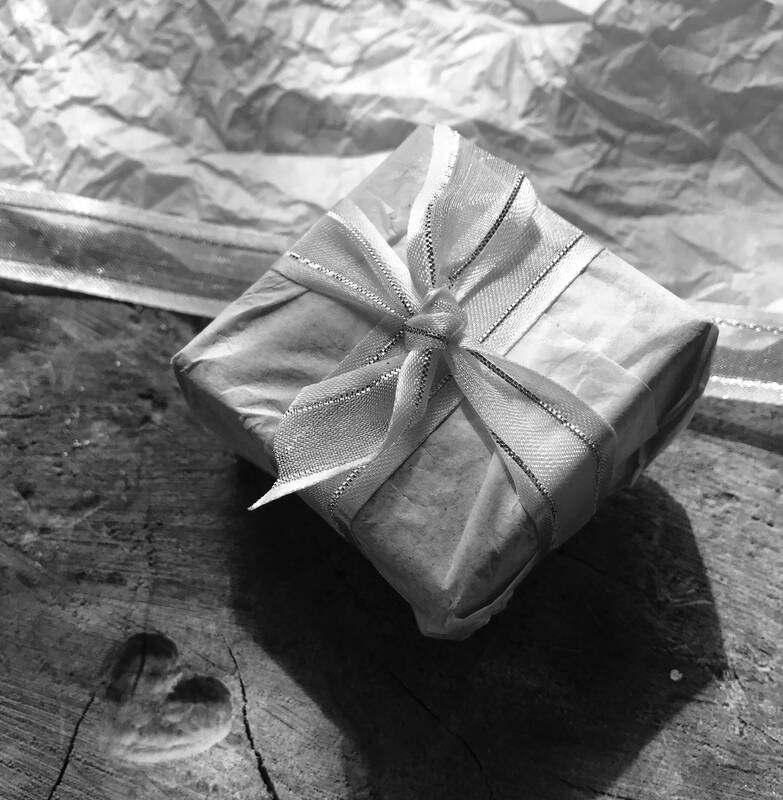 - Ring comes gift wrapped.